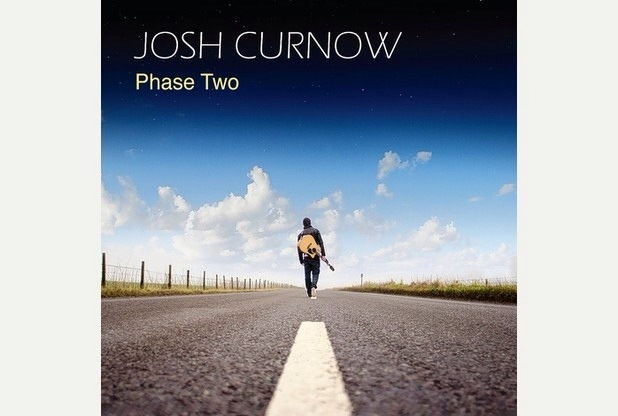 EP Review: Josh Curnow, Phase Two – music waffle. I first came across Josh Curnow at Ely’s Party on the Hill last August. In a varied line up, he stood out as the talent of the show, along with Matt Cardle (who was the person I’d actually paid my money to see). Josh hails from Cornwall, and has clearly had his struggles, growing up with dyslexia and finding an outlet for his talent with the support of a kindly local publican, who gave him a job and a place to perform, before he was spotted by producer Andy Baker of Sound Consultancy, where things started to take off for him. Phase Two is the follow up to Me v You (which was about a lost love) and represents Josh moving on in his life with a clear focus on his music. It kicks off with new single, I Feel Alive, an upbeat number about the freedom of life on the road “singing with his six stringed friend for company”. Next up is I’ll Drink To That – which went down very well in the East Anglian sunshine last year (the locals really were very keen to enjoy themselves!). There are rather cheerful pub noises and clinking glasses, with a self deprecating lyric “He’s the local legend and I’m the local loser”. The Waiting Game is a full on ballad, then Chasing You Down Memory Lane (my favourite track on the EP) sees Josh finding his rockier side, and musically it has got the most going on in it. The voice gets very gritty and the electric guitar makes a welcome appearance. I’d really like to see Josh explore this route further; it’s a great track and he sounds like he’s got a bit of attitude about him in it. Go for it Josh! Next we have a light tinkle of xylophone and a jolly whistle in Take a Walk, rounding off with Fond of You, a rather touching number about a first love that you want the best for. Josh describes the EP as not having a single concept or story, but like being in a relationship with the pub; that feeling of belonging you have with all the people associated with it. I’d like to be in that pub! I’m intrigued to see what Phase Three may hold.